an easy-to-apply powdered product that, when added to Portland cement plaster or mortar mixes, streamlines waterproofing by obstructing the capillaries and restricting moisture movement. a.b.e. is part of the Chryso Southern Africa Group. Elrene Smuts, communications manager of the Chryso SA Group, says duraproof cem block can be used in cement/sand mixtures to waterproof plaster and mortar in floor screeds, rendering facades, plastered walls, and brick and block mortar. “The fact that the economical product is supplied in easy-to-use powdered form is a particular advantage for contractors facing time pressure on projects,” Smuts states. 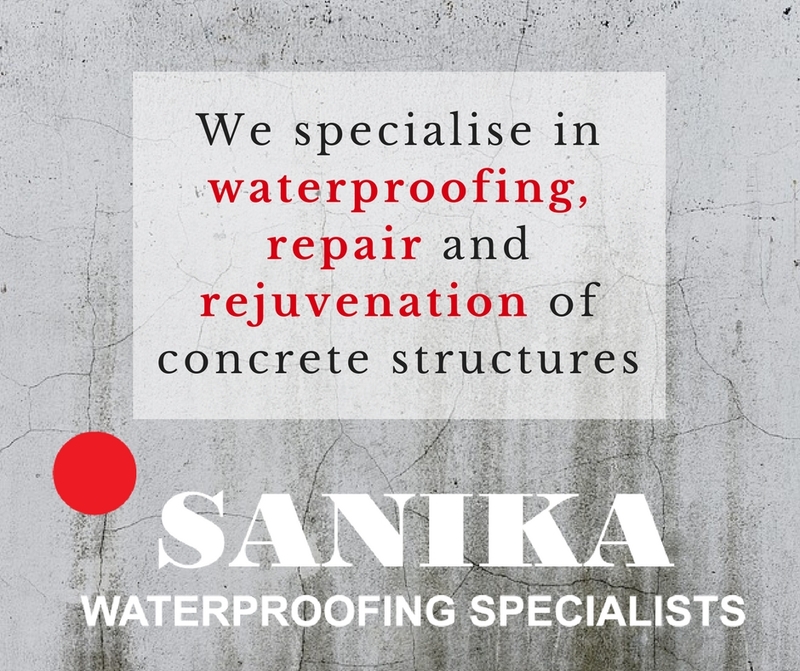 She says although duraproof cem block blocks moisture it allows for the passage of water vapour out of the concrete and waterproofs it without altering the characteristics of the plaster or mortar nor its compressive strength. “Chloride-free duraproof should be thoroughly mixed into the plaster or mortar mix to maximise its waterproofing properties. But duraproof cem block will not improve a poor plaster or mortar mix, aggregate or grading and mix design, or incorrect cement-water ratio. The newly-applied plaster or mortar must be kept damp for at least five days to promote good curing and the required strength and durability,” Smuts cautioned. 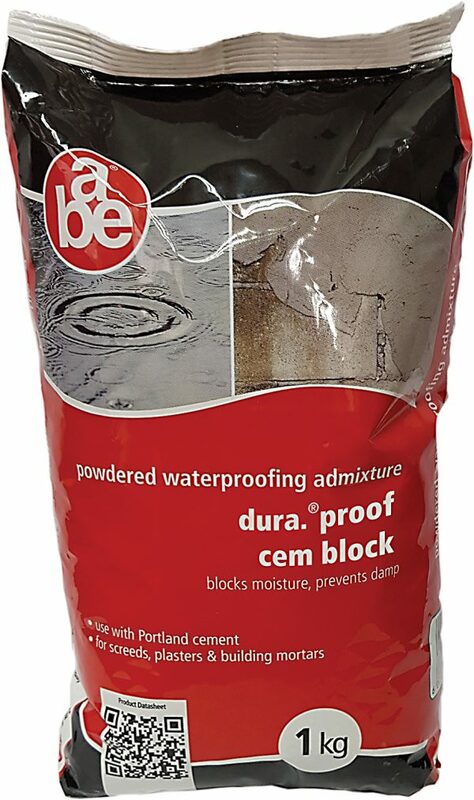 duraproof cem block is part of a.b.e.’s growing cementitious waterproofing range which also includes a.b.e.’s original duraproof concrete and mortar waterproofing product. duraproof is an additive with fine particles that combine with the lime in cement to form water-repellent particles that obstruct capillary action in concrete. a.b.e. also supplies the well-known and trusted duraflex, a flexible waterproofing slurry suitable for positive and negative pressure. 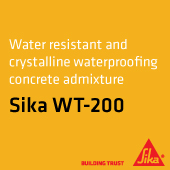 duraproof krystalkote: a coating that protects and waterproofs concrete structures by crystallisation.